Change is clearly visible that people are now migrating from Orkut to Facebook, obviously the most popular social network. To your ease, it is now possible to upload photos to facebook by just right clicking on any image. It is just similar and easy to “Send to” option of Context menu. Easy Facebook Photo Uploader is the name of tool and it really makes uploading photos to facebook album easy. Just install the application (requires .NET) and you will see a new option in context menu called “Send Photos to Facebook” Select one or more than one multiple images and click Send Photos to Facebook album to start uploading. We have already seen how to Manage Facebook Photo Albums and Videos from Desktop tool using Bloom but that didn’t had right click context menu support. At the first run, it requires Facebook account authentication where you have enter Facebook username and password and allow the application to access data. 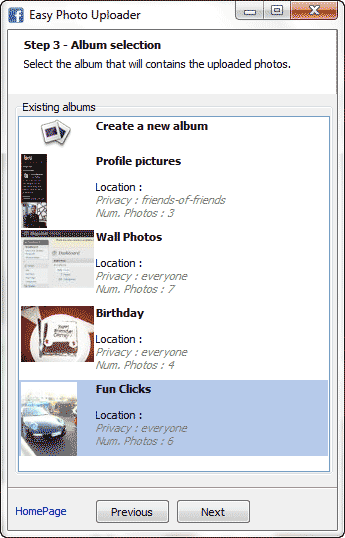 Then, you can either create new Album or upload photos to existing album. Thanks for sharing this, I am installing it now! 🙂 Facebook takes a lot of time when uploading many photos. So it is great that you were able to post this. Does it also produce same quality photos like in the normal upload?